We are working with dreamy woodland nymphs dressed in couture, surrounded by their gorgeous friends and family and a riot of colorful flowers and feathers. This is definitely a job for SB Beauty! 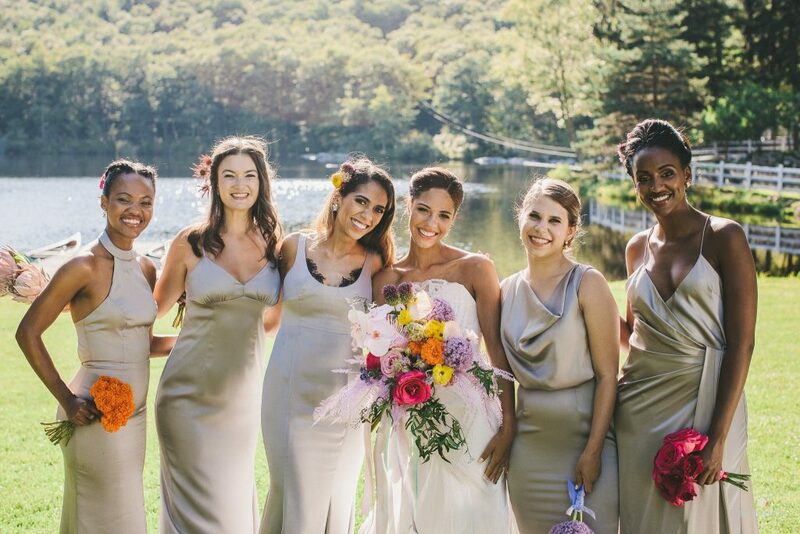 Our friend Jove tapped us for Simone’s wedding, knowing that we love color and nice people, especially when wrapped in a bucolic woodland setting. After a wet morning, the weather opened up an hour into our road trip and we were greeted by blue skies and a placid lake. Sigh. Cedar Lakes has expanded its suites, and we set up in the newest suite, with excellent AC! Whew – so necessary for summer hair prep. Simone is a playful gal and offered buckets of bright flowers for us to add to her bridesmaid’s hair. 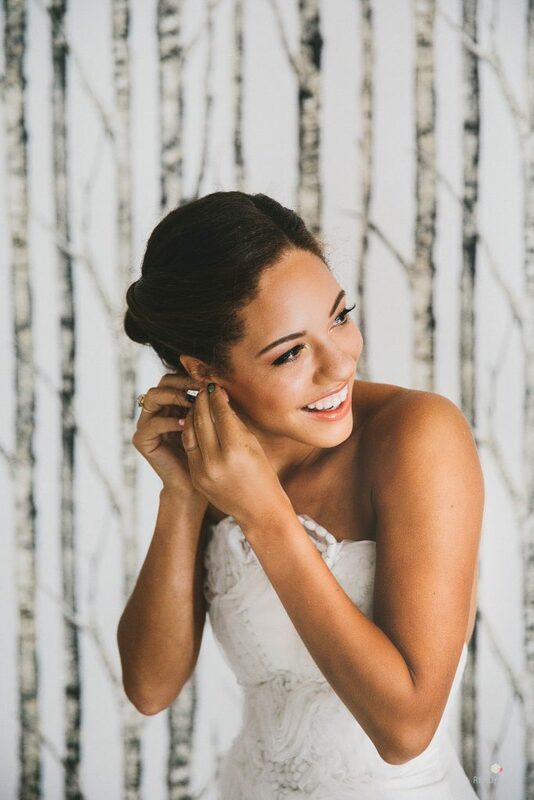 Her bridesmaids love makeup and were excited to add a pop of color to their faces (yeah for me!). Even the moms got into the spirit, both wearing bright dresses. As you can imagine, guests love to jump into the lake via “the blob”, and our bride did, too! Our angel lead hairstylist for the day, Jess, gave our bride a full blow dry, set, and style (which is now published, thank you!). Her bridesmaids were not into getting wet – we are into choice. 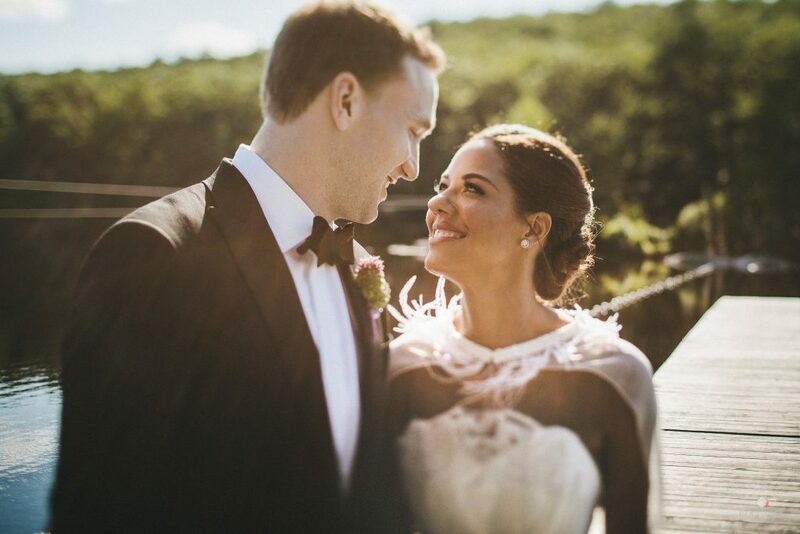 Congrats to Simone + Charlie! 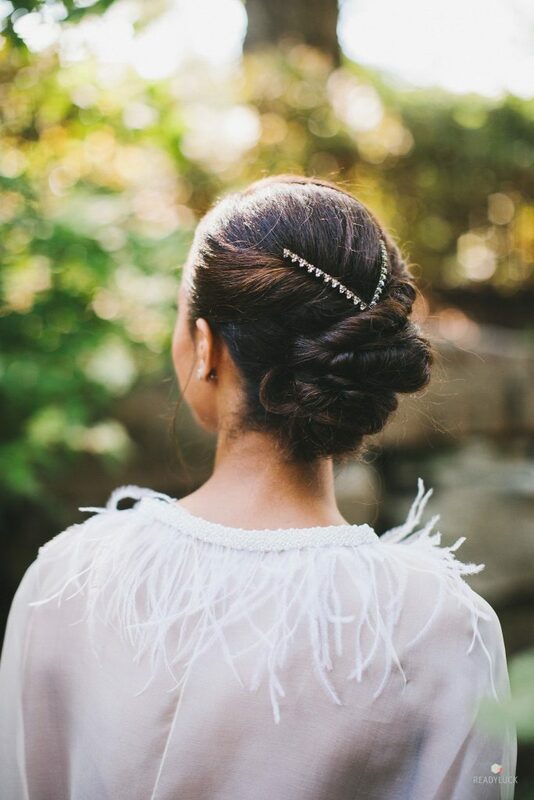 We absolutely love doing makeup and hair for elopements! We have had the pleasure of working with couples from England (all over), Ireland (north and south), Scotland (kilts! ), Brazil (in the snow! ), Finland, Spain, New Zealand, the Jersey Channel Islands, France, and many from Australia. This brings me to gorgeous Aussies Bridann and Kym. 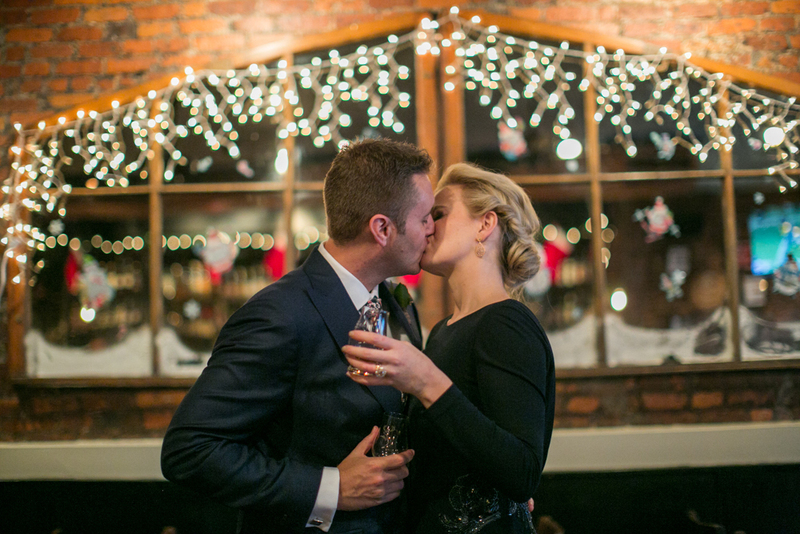 This couple came to us from the planner and photographer, and specifically wanted to be married on New Year’s Eve in the Lower East Side of NYC. Fine by me – it was my easiest work commute of the year! 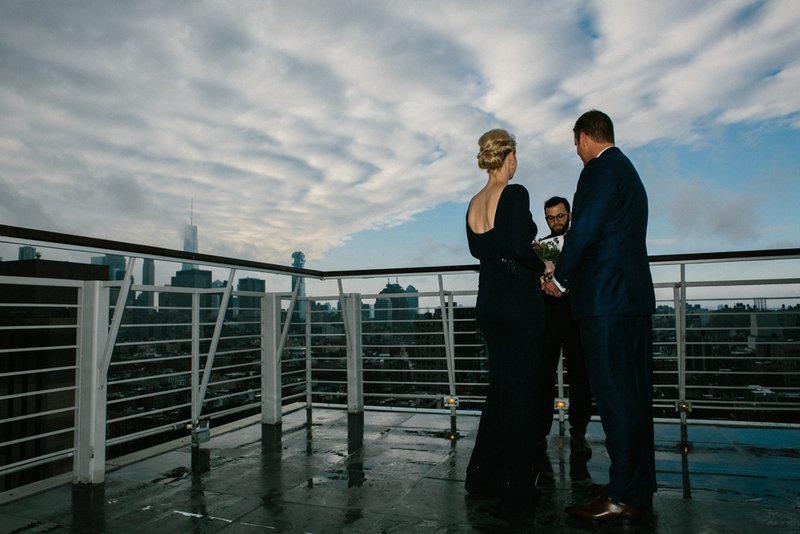 They chose Hotel on Rivington, and as you will see, they did the ceremony on the roof deck with a celebrant. Intimate, private, and spectacular. 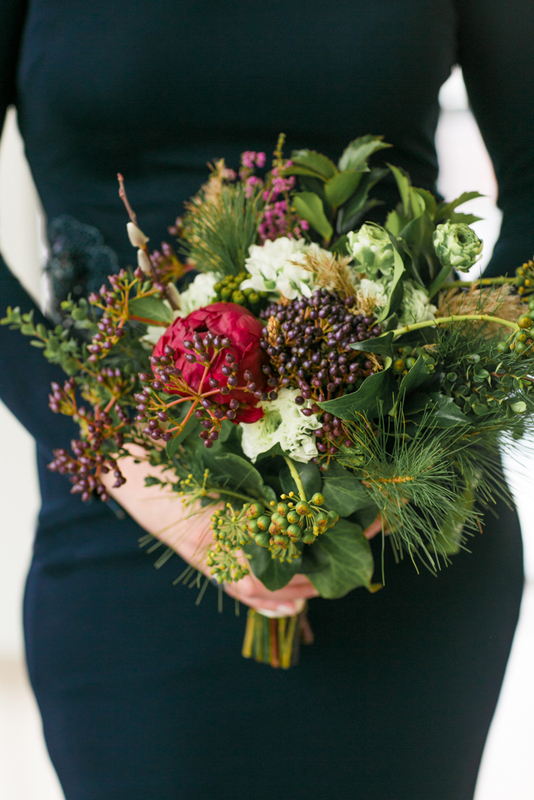 Style comes in many forms, and Bridann and Kym displayed it in many quiet ways. First, they had their wedding on their own terms, in a totally different climate, time zone, and hemisphere! The bride wore a gorgeous navy crepe gown with a deep dipped back and matching embellishments on the waistline – talk about day to dinner! 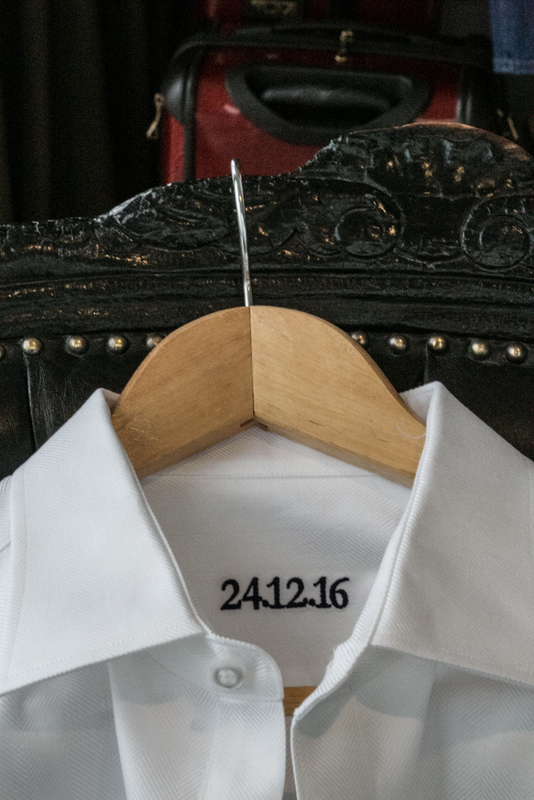 Check out lots of their thoughtful and classy details, from Kym’s dress shirt embroidered with the wedding date, Bridann’s winter bouquet, and the delicious-looking cake. 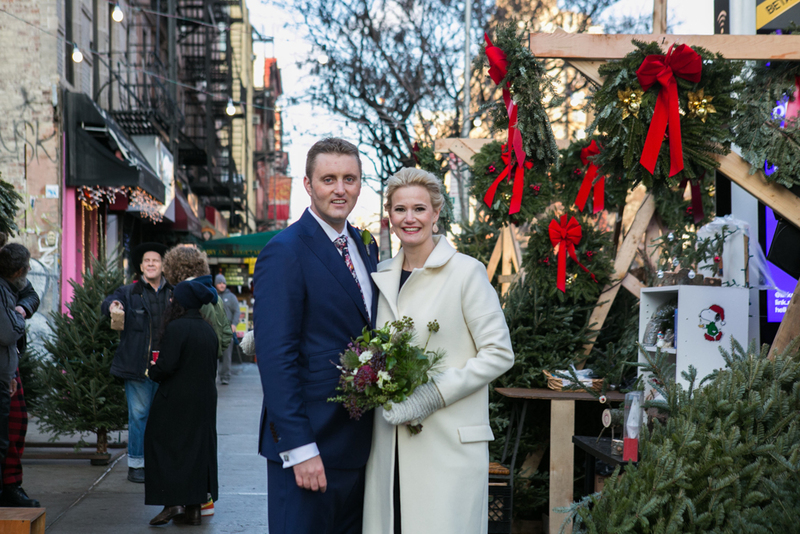 The couple was married under romantic and painterly skies that were alternately stormy and sunny, and then walked around the neighborhood to enjoy the last bits of holiday cheer that is native to NYC: street side Christmas trees for sale, and festive holiday lights in the bars and restaurants. Cheers to all of our clients who are taking on the adventure of building a life together! Thanks for including us in your first step. Chocolate/peanut butter is a perfect combination, just like makeup artist/photographer! 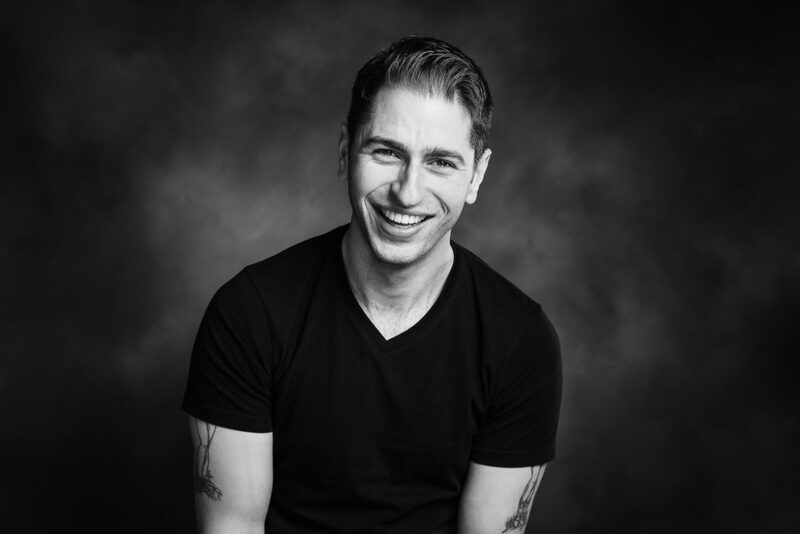 I want you to meet my friend and colleague, Jon Lemon of JC Lemon Photography. What inspires this rock-climbing, NYC-dwelling Texan dad of two? Read on! Photography has always been a fun personal thing I’ve enjoyed — the mix of technology and art is just so fascinating! My mom has always been an artistic person (spinning, weaving, lithography, and all sorts of other stuff), and she first got me hooked with just grabbing a camera and exploring. Back when I was in middle school she started doing black & white fine art photography and I actually took a semester off before starting college to take a darkroom class with her. That’s where it went from a hobby to a passion. It was so amazing to see a photo literally come to life on paper in front of you, and that still sticks with me in a digital world. I put that in my back pocket as I went off to college and pursued other things (Computer Science and then a tech job on Wall St), but I still kept photography as something I did while traveling and living life. It wasn’t until I found wedding photography that everything clicked! Elopements! They’re ignored by a lot of vendors because they’re not “traditional” wedding days, and that was especially true when I started my business in 2011. 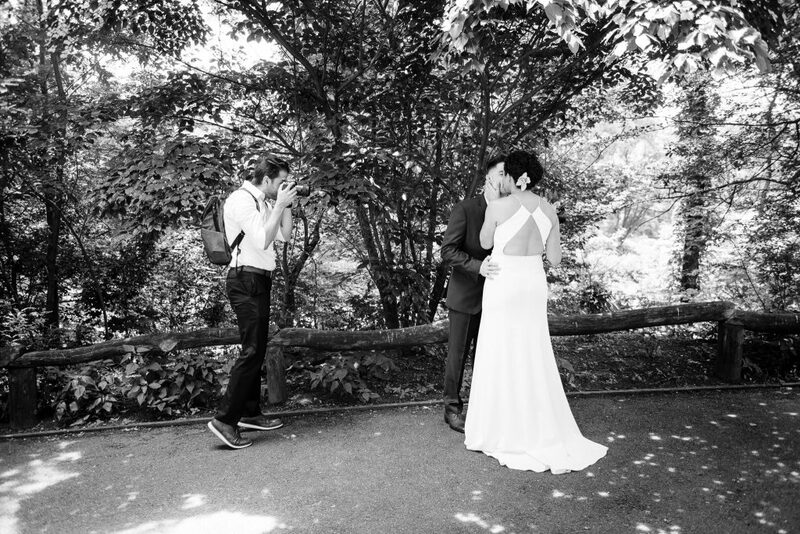 Thankfully, the photographer I second shot for before launching my own business was one of the few serving these types of weddings in NYC, and it became a significant portion of my business model. These intimate weddings are usually on weekdays, so while other wedding photographers fill out their calendar with headshots or commercial work, I’m photographing more weddings! I’ve photographed over 300 weddings in 7 years, and each one is an exciting and unique experience. 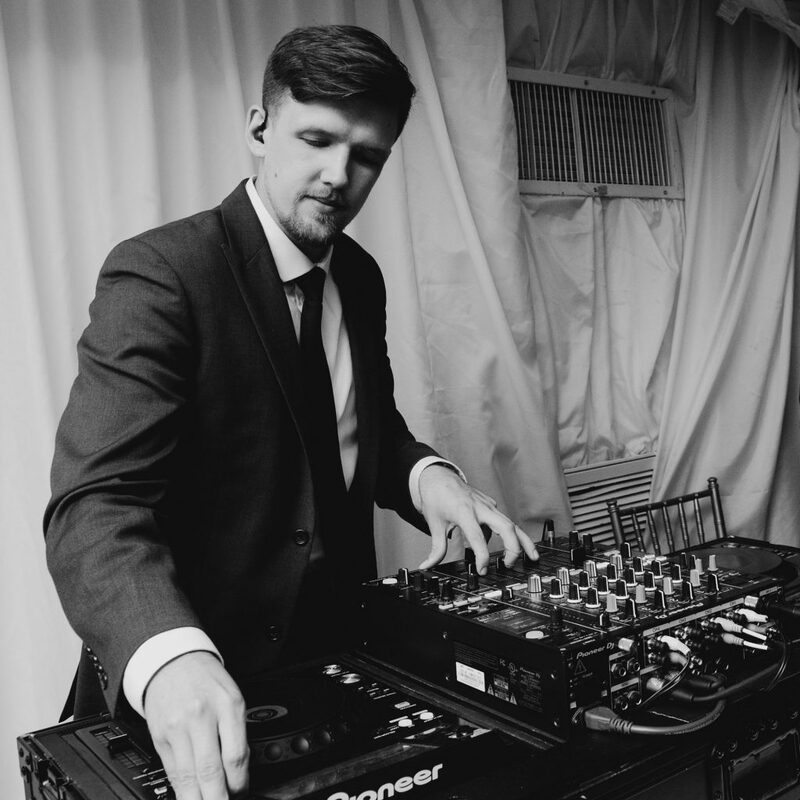 My business is flexible to provide service to weddings of all sizes, and I am always at the core as the primary photographer. For elopements (which I define as fewer than 100 guests) I’m usually on my own, and for larger weddings (more than 100 guests) I’ll have a second photographer and assistant helping out, plus additional staff for other cool things I offer like portrait stations, photo booths, etc. If my couple is local, we meet in person to get to know each other and connect. I also work with a lot of international couples, so sometimes a fun video chat is all we can do before they arrive for the wedding. Either way, there’s a lot of info I compile about the wedding beforehand, such as who the VIP guests are, timeline for the day, portrait locations, and all those other logistics. Having a good game plan in place sets us up for the best results come wedding day! My signature wedding collection also includes an engagement session, which is a fantastic way to bond before the wedding day. I take a lot of personal photos of my family (my wife May and sons Lincoln & Logan) on film and still try to get into a darkroom whenever I can. Mainly I just try to do what I’ve always done — grab a camera and go exploring! Sigh. Sparkly Saturday night, Rainbow Room. Jackie is so full of joy – we loved working with her. She came to us through her photographer, Brian Friedman, my buddy (who left us for the more spacious and warm Las Vegas). 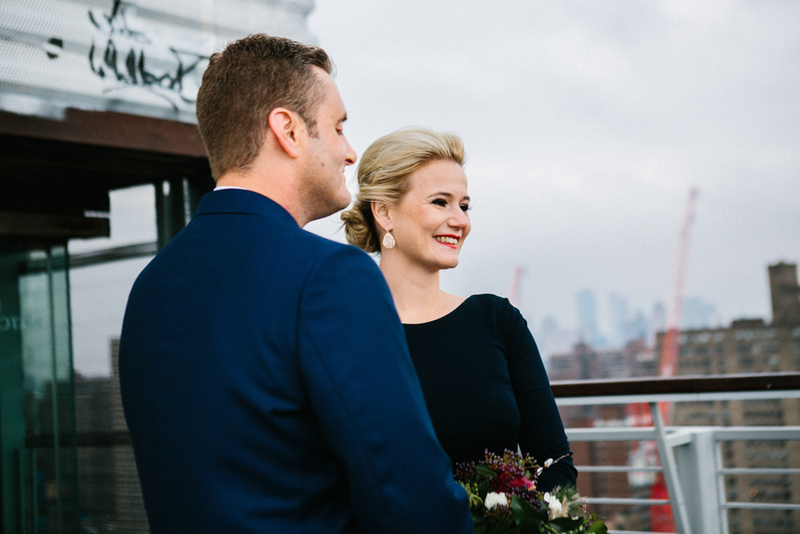 She and her husband, David, just celebrated their 1-year anniversary at the end of last month, and I want to recount the luscious details of this sparkly Saturday night wedding that brought out the romantic side of NYC. She and her bridesmaids were cracking jokes all morning long, and Jackie didn’t stop smiling throughout the whole day. This gal is smart, quick, very warm, and so in love with her husband. Jackie is so full of joy – we loved working with her. She came to us through her photographer, Brian Friedman, my buddy (who left us for the more spacious and warm Las Vegas). 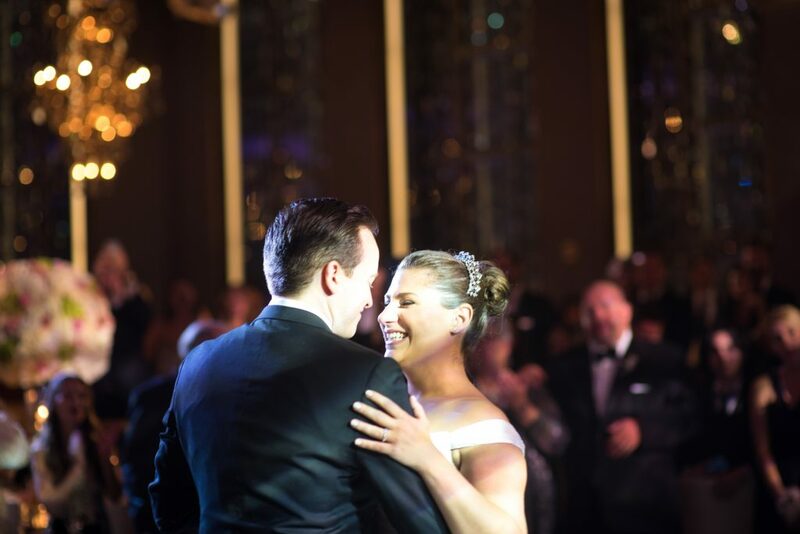 She and her husband, David, are celebrating their 1-year anniversary at the end of this month, and I want to recount the luscious details of this sparkly Saturday night wedding that brought out the romantic side of NYC. The bride’s family is very close, and emotions ran high when the father of the groom saw Jackie for the first time. Then, Jackie saw her groom, David, and we had more tears! Good thing they asked me to stay on for touchups – we did a lot of dabbing. Good eye, Brian Friedman! Everyone loves my nursing shoes. For makeup and hair, we went for a classic-enhanced look to complement her classic dress, though we punched it up with some contour. My girl also loves a glow! Case in point: tiara. All wedding gowns should be a perfect fit! After they enjoyed every single moment of their wedding day and danced all night, the couple jetted off to Napa to sip wine and live the good life for a few days. 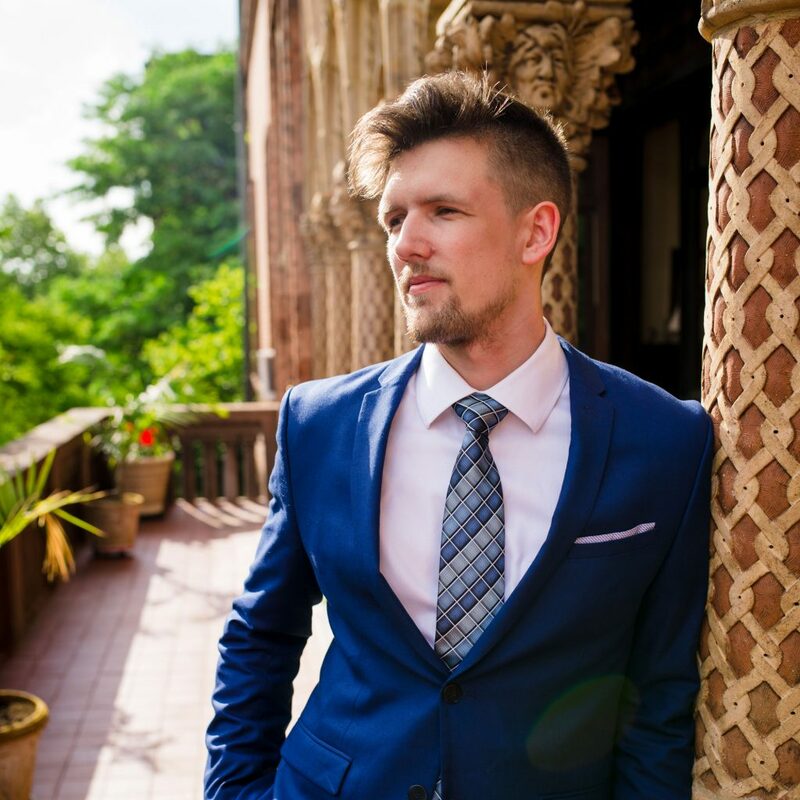 Funny and personal: I traveled solo to Vietnam a few months after this wedding. Randomly, Jackie messaged me the minute after I arrived at the hotel, right after I landed. I was really tired, confused, homesick, and feeling lost. She spent an hour messaging back and forth with me about life, just to calm me down. I really appreciated her time and humor – it was just what I needed at that moment. 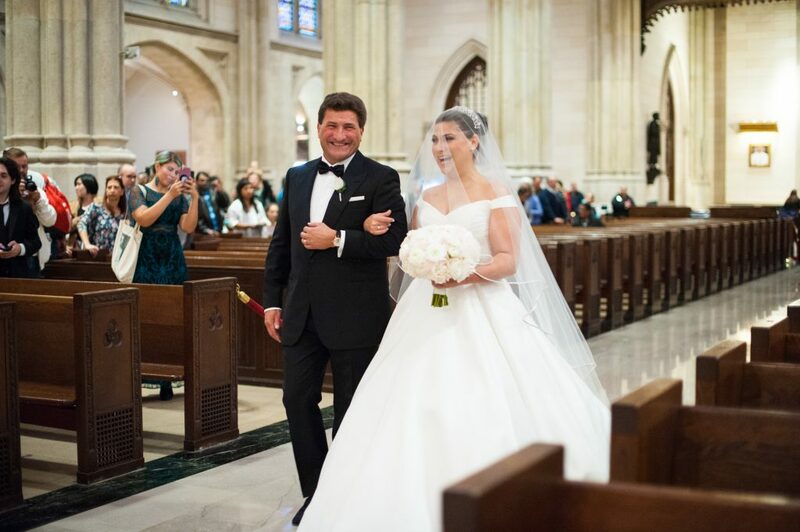 Please enjoy these pics of Jackie and David’s joyful and classically glam NYC wedding! 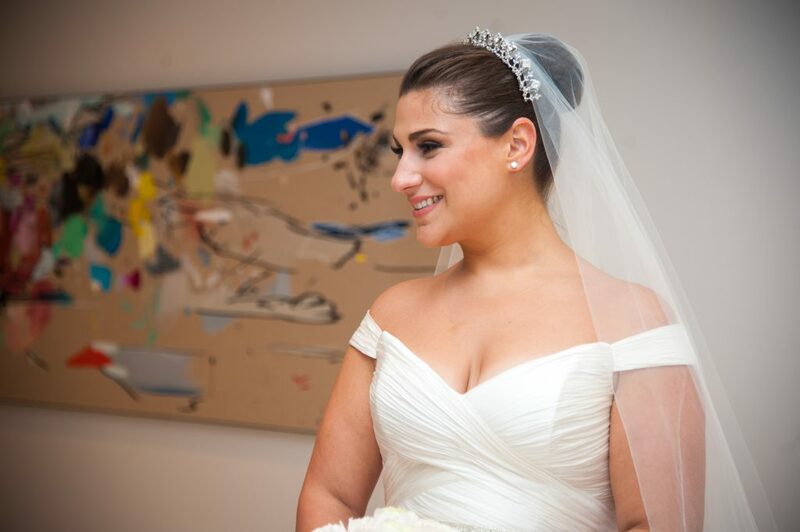 When your bride is a work of art.